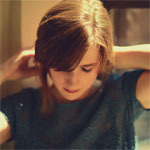 Share the post "Album review: ANNIE DRESSNER – Broken Into Pieces"
A native New Yorker, but an adopted Brit of seven years, folk singer songwriter Annie Dressner has found favour on these shores with BBC Radio 2 and 6 Music, and appeared at the Green Man and Cambridge Folk Festivals in recent years. The follow up to her debut release, Strangers Who Knew Each Other’s Names (2011), Broken Into Pieces is an intimate folk set produced by Nigel Stonier (Thea Gilmore, Tracey Browne) – a man renowned for getting the best out of female singer songwriters with his sensitive production values. Featuring Matthew Caws (Nada Surf) on guitars, Stonier, Che Beresford (Capercaille, Black Grape) on drums, and hubbie Paul Goodwin on keys; with some poignant strings arrangements and backing vocalists including Polly Paulusma (with whom Dressner performs as one half of the folky, female harmony acoustic duo The Pollyanna Band) Broken Into Pieces is, at first blush, an understated release. But it’s one that deserves and rewards repeated listening, with Dressner’s plaintive storytelling working best when accompanied by little more than a gently played acoustic guitar and haunting strings as on the set opener ‘Fades Away’, the confessional ‘Bruise Beneath My Bones’, and the mournful ‘Kentucky’. It’s a formula that bears further fruit on the closing pairing of the sorrowful ‘Numbers’, and, in juxtaposition, the almost hymnal ‘Morning’, with more upbeat moments provided the light pop/rock of ‘Don’t Go’, the jaunty ‘Heartbreaker’, and soft east coast rock of ‘Get Out and Falter’. This entry was posted in ALBUM REVIEWS, ALBUM REVIEWS (Mobile), All Posts and tagged acoustic, album, Annie Dressner, Broken Into Pieces, folk, indie, Nigel Stonier, review, singer, songwriter. Bookmark the permalink.